Born in Otsu, Yosuke Alexandre Yamashiki, attended Kyoto University where he earned his B. Eng. in Civil Engineering in 1990. From Kyoto he went to the University of São Paulo, Brazil (Escola Politécnica da Universidade de São Paulo http://www.poli.usp.br), earning his Master of Engineering. in 1994, then studying Global Environment Engineering in Kyoto in the Graduate School of Engineering where he earned Doctor of Engineering in 1999. During his doctoral course, he worked in an international NGO (ILEC ) as a researcher. After this, he worked at UNEP-DTIE-IETC as an Associate Programme Officer for two years, contributing to the establishment of La Plata River Basin Environmental Management Network (RIGA) and the 3rd La Plata River Basin Workshop held in the City of Posadas, Argentina in 2001. Yosuke then joined the Department of Urban Environmental Engineering at Kyoto University as an Assistant Professor in 2001, then in 2004 moved to Nihon University where he was a Lecturer in Civil Engineering. The Global Water Resources Assessment Laboratory was launched at that time. He also worked at the Faculty of Science in the University of Tokyo as a visiting Lecturer. After his promotion to Associate Professor at Nihon University, he again joined Kyoto University’s Disaster Prevention Research Institute. During the period of research, he worked on disaster mitigation for flood and sediment disasters, environmental monitoring with a focus on radioactive contaminants, and water resource management. Yosuke then joined Graduate School of Advanced Integrated Studies in Human Survivability at Kyoto University since 2013, where hold his current position. 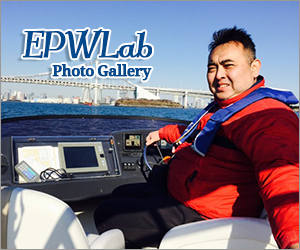 Yosuke has received the Best Paper Award in 2014 for his research in monitoring of environmental radioactivity through the Japan Society of Hydrology and Water Resources. In July 2015, he was nominated as Chairperson of the UNESCO-IHP International Initiative of Water Quality (IIWQ) Experts Advisory Group where he will continue for the next 2 years.